Edith M. Bird, 75, of Mattydale, passed away peacefully surrounded by her loving family after a long illness. 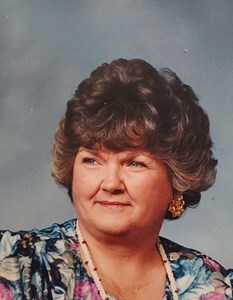 Surviving are her kids, Dwayne (Kathleen) Bird, Darlene (Bird) Lawler and Dean Bird; 10 grandchildren and 10 great-grandchildren. Calling hours will take place at New Comer Cremations & Funerals, N. Syracuse on Wednesday, February 6th from 4-7pm. Burial will be on Thursday 10am at White Chapel Memory Gardens, DeWitt, NY. In lieu of flowers please donate to Recycle A Bull Bully Breed Rescue. To share a memory of Edith or leave a special message for the family, please click the Share Memories button above. Add your memories to the guest book of Edith Bird. Last week, Donna Day shared the news of Edie's passing. My deepest sympathies go out to Edie's family, friends, and colleagues. Over twenty years ago, I worked with Edie at Agway Insurance. As an Operations Analyst, she was responsible for our Billing and Homeowners systems. Every enhancement to the system required her signoff before it was rolled out. While people buy insurance to safeguard against a loss, it is the billing invoice that is one of most tangible evidence of coverage. It mattered to our insureds and our agents that EVERY bill be easily understood, timely and accurate. Edie's knowledge and expertise were frequently called upon when implementing various organizational and market changes. She was an excellent listener and handled time-sensitive deadlines with great perseverance and professionalism. She, along with the other Analysts and Programmers, were the reason that the Insurance Division received one of the highest User Satisfaction ratings within Agway overall. Most of all, I remember the twinkle in her eyes and her smile. While time and distance have passed, I am privileged to have had Edie a part of my life journey.